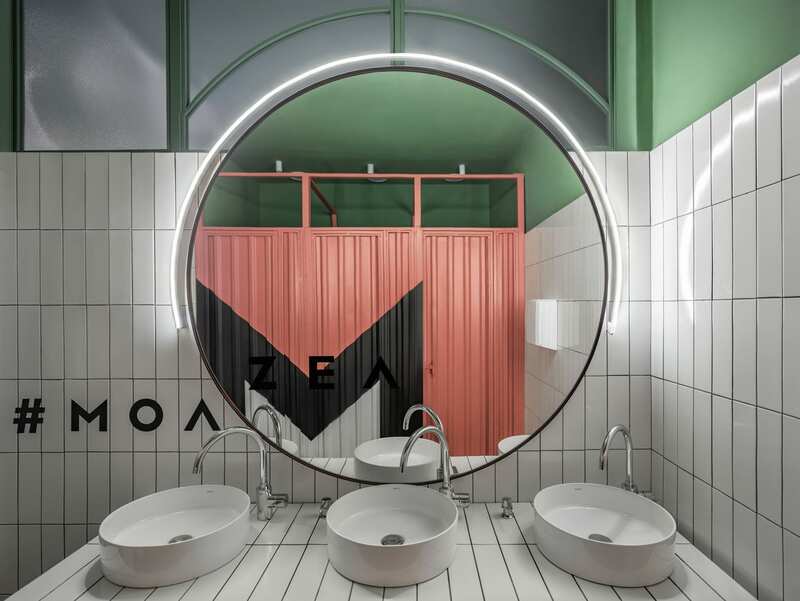 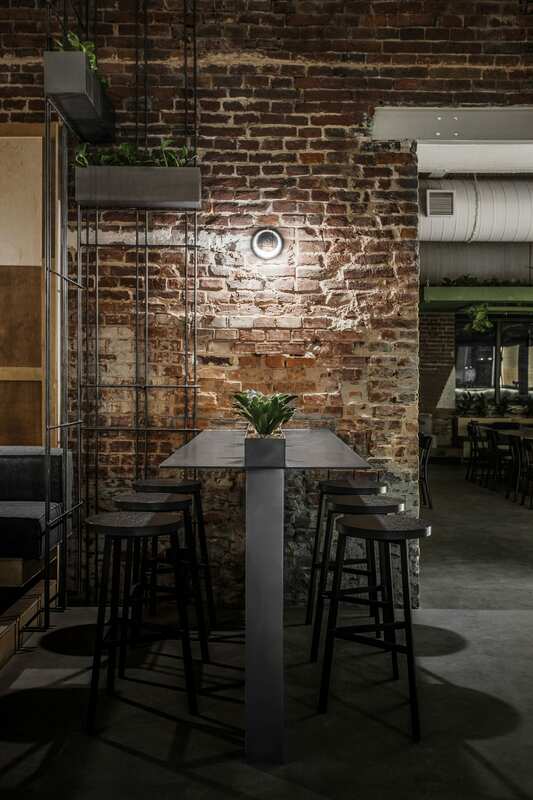 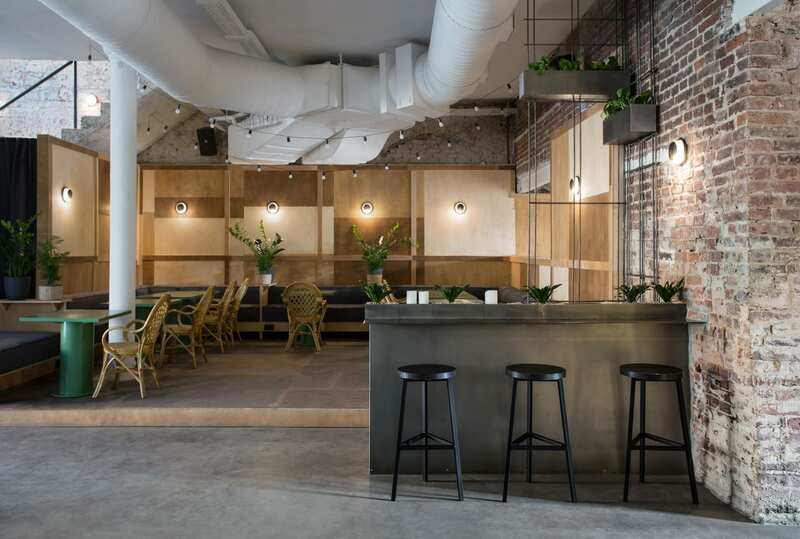 Located in the heart of the Ukrainian city Lviv, Molodo Zeleno is a pub named after a catchy play on words in Ukrainian, referencing fun, youth and leafy greens. 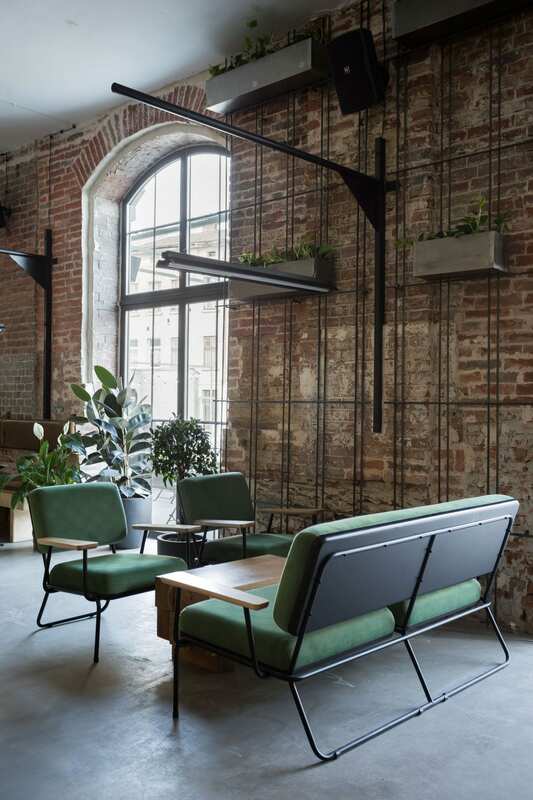 Balbek Bureau‘s response follows these central three ideas in the execution of the interior. 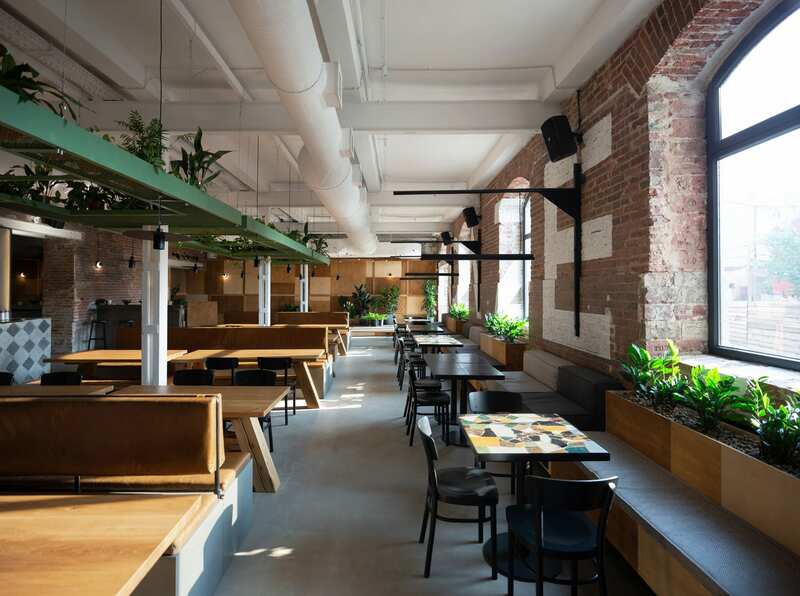 The site occupies a three-storey converted industrial building, with a cobblestone courtyard integrated into the design. 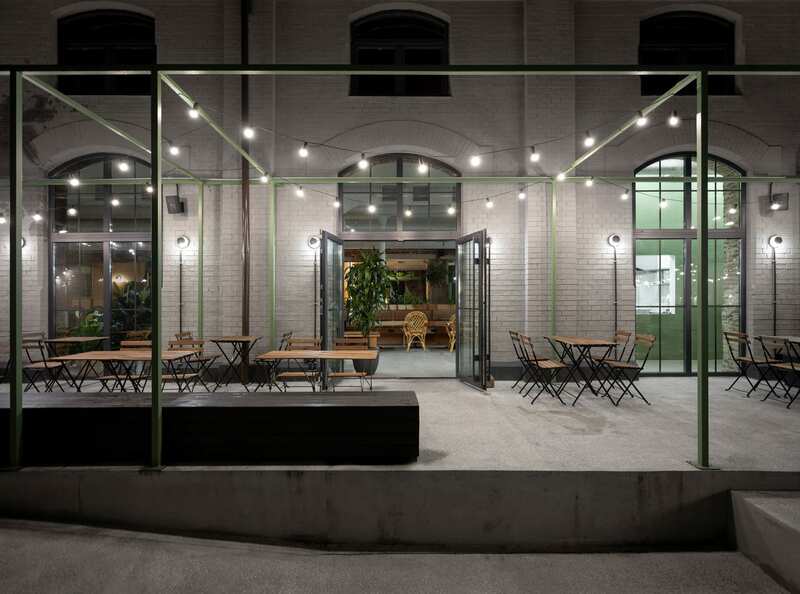 Balbek bureau actively connected the inside with the outside, visually uniting the courtyard with the main room of the pub. 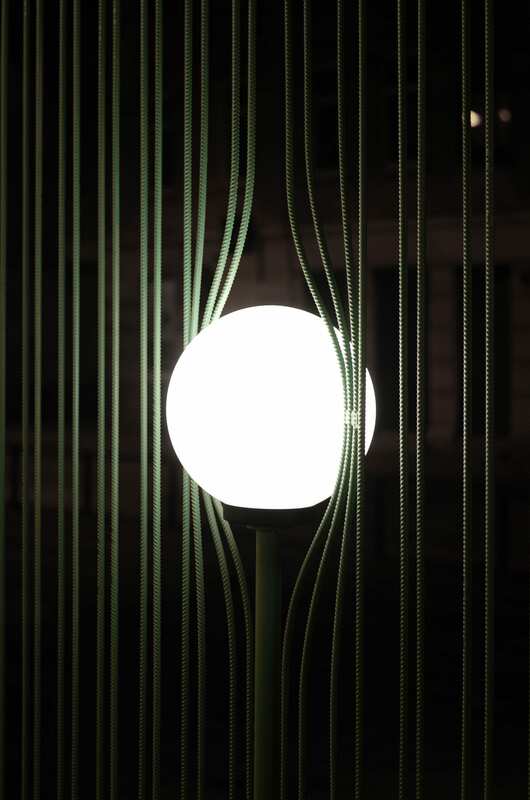 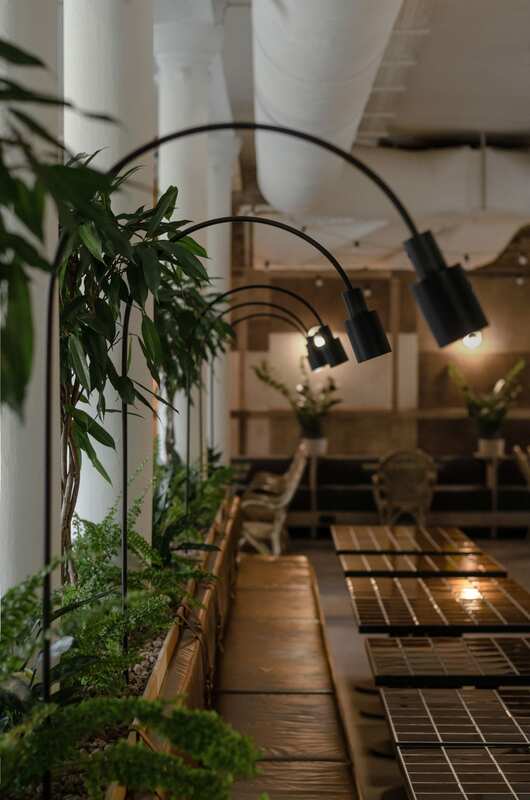 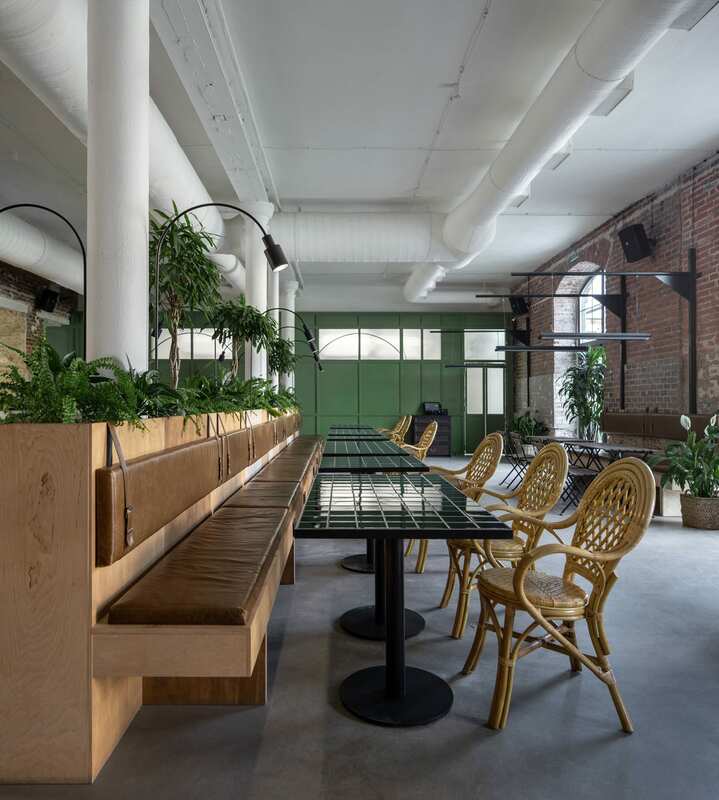 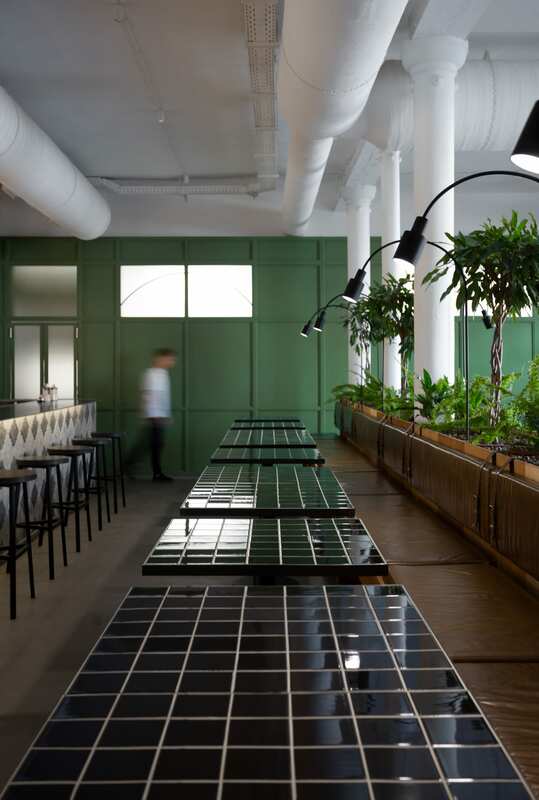 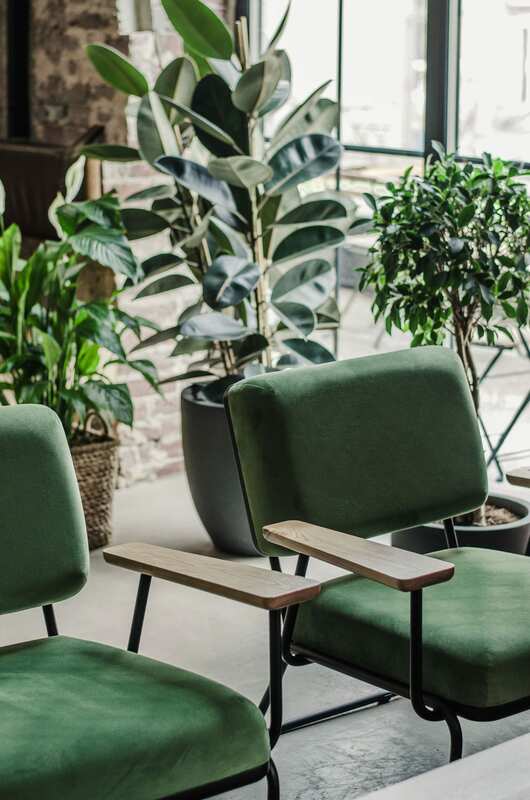 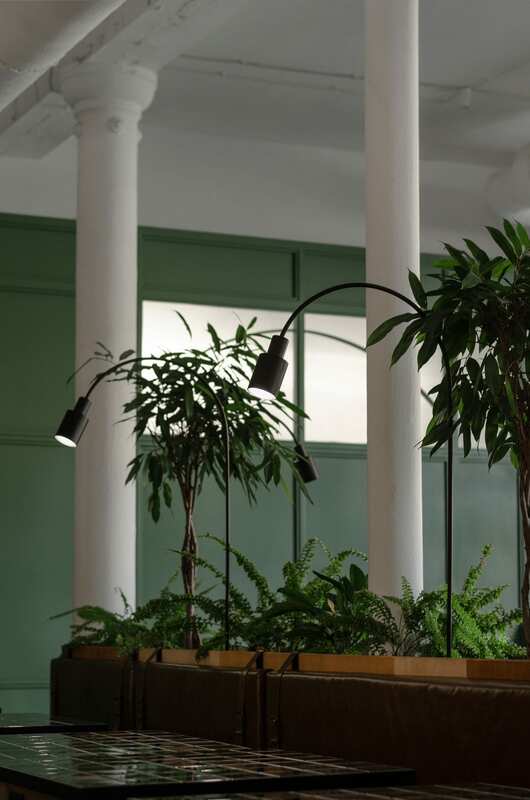 They maximised access to natural, scattered an abundance of green leafy plants around the premises, and incorporated several design elements that are typically used outdoors and associated with gardens. 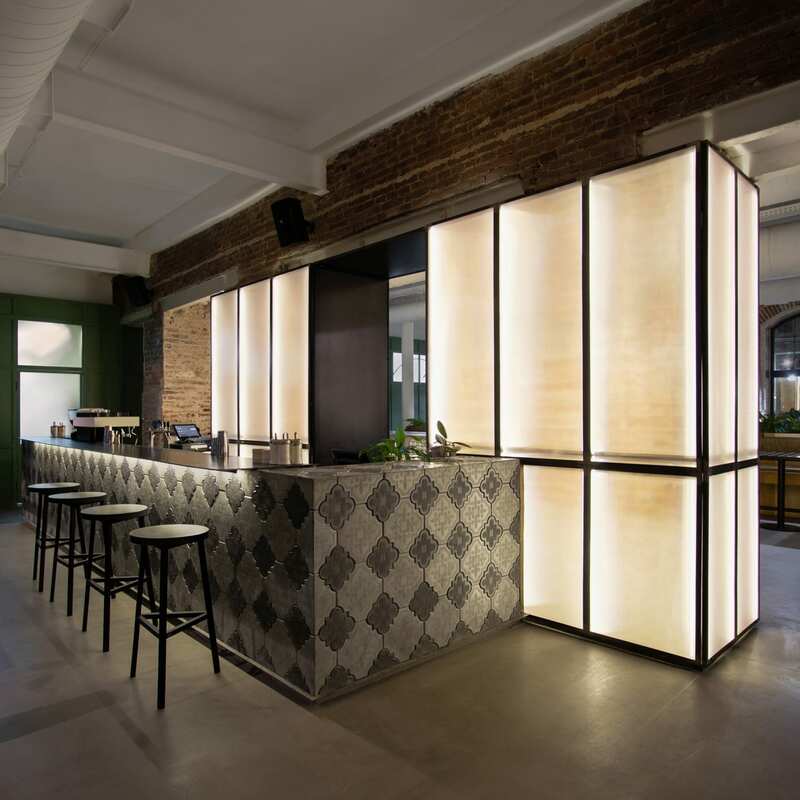 The two rooms share a centrally located bar counter and a large lightbox – the focal points of the pub. 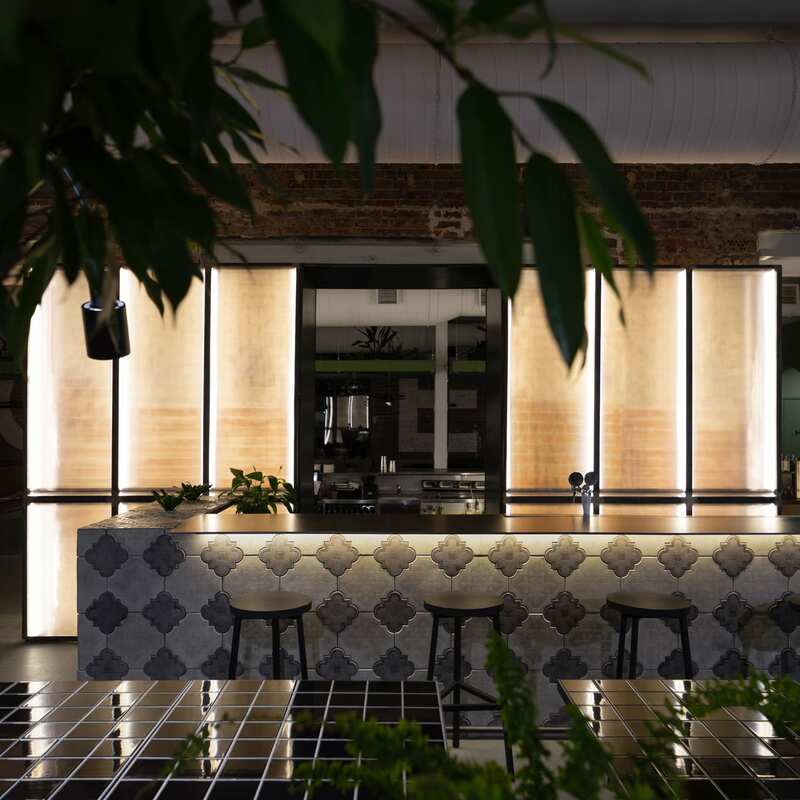 Apart from serving the obvious purpose, the counter is designed to join the two main rooms, as well as to conceal bar equipment. 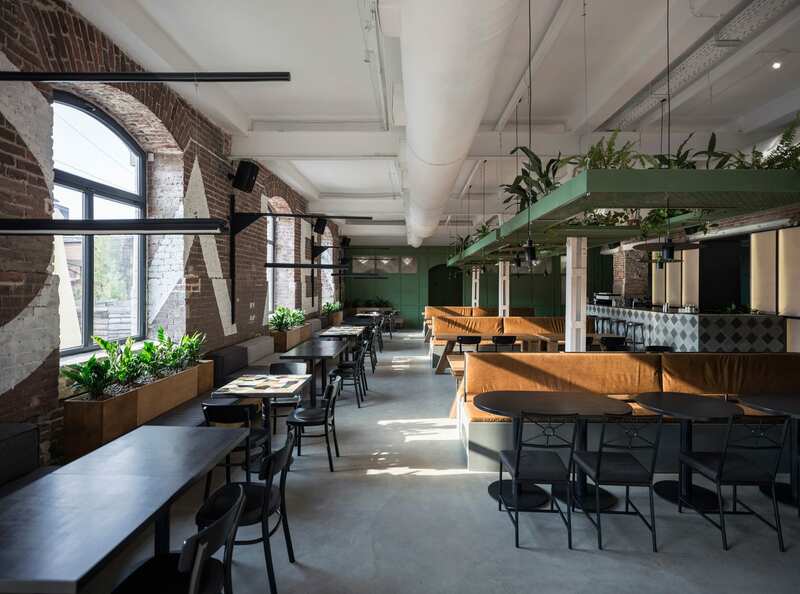 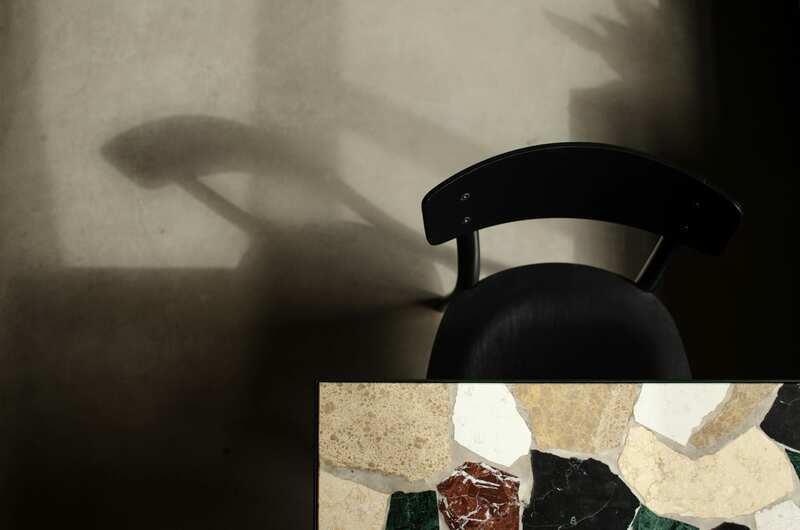 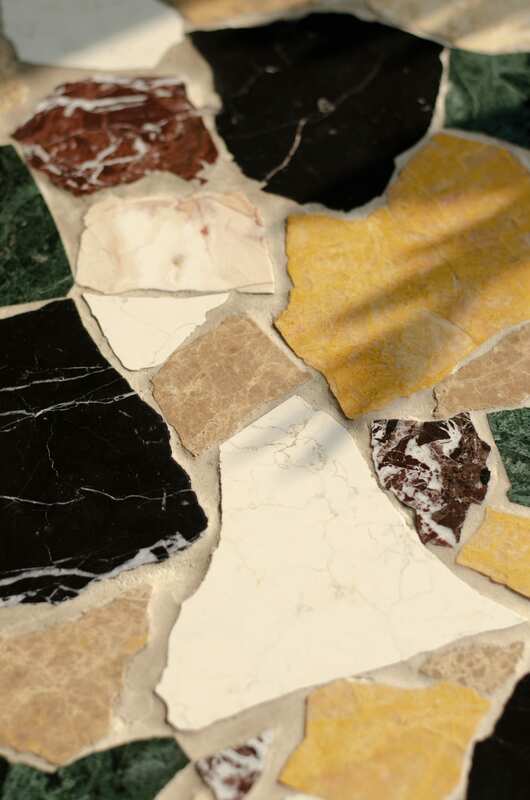 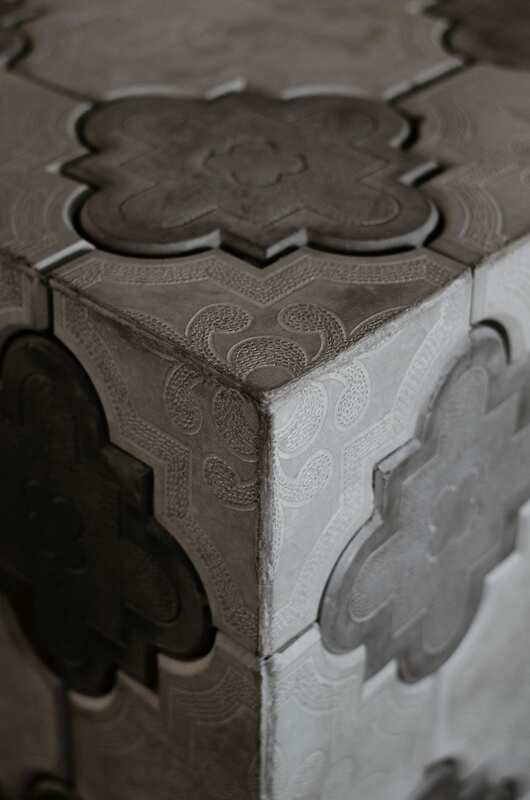 Balbek bureau preserved original architectural elements of the existing site, integrating them in the contemporary interior by mixing and matching textures and colours. 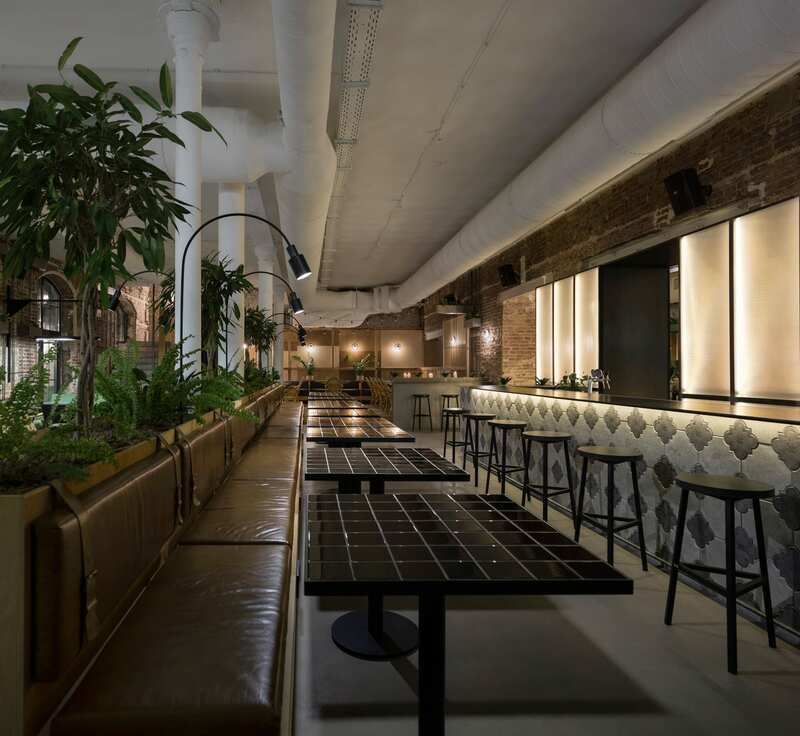 They left the original cobbled pavement in the courtyard, which gives the outdoor space its main character, becoming a visual foundation for the terrace. 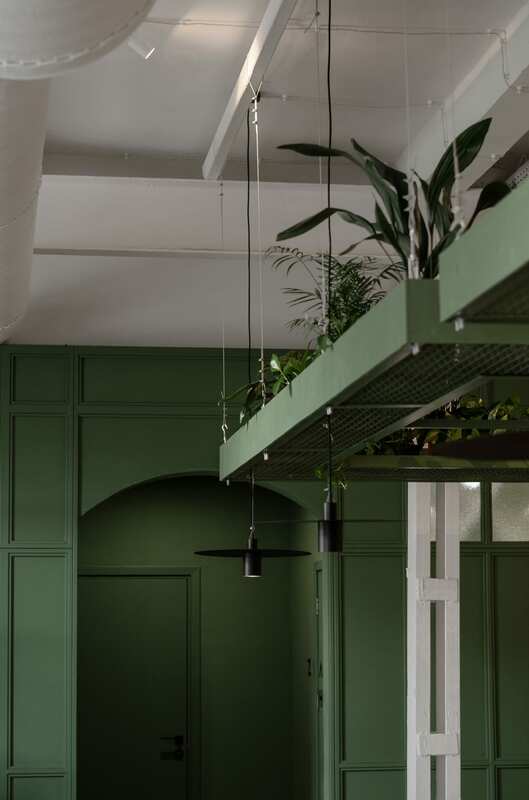 The original red brickwork in the interior was also maintained, in turn emphasising the rooms’ connection to the outdoors while providing a beautiful warm background to furniture and fixtures. 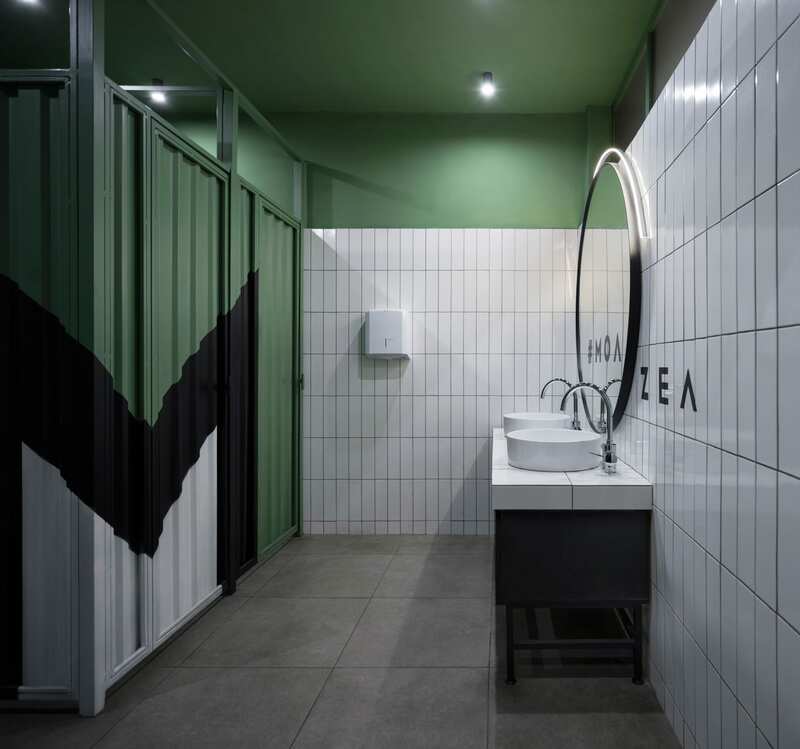 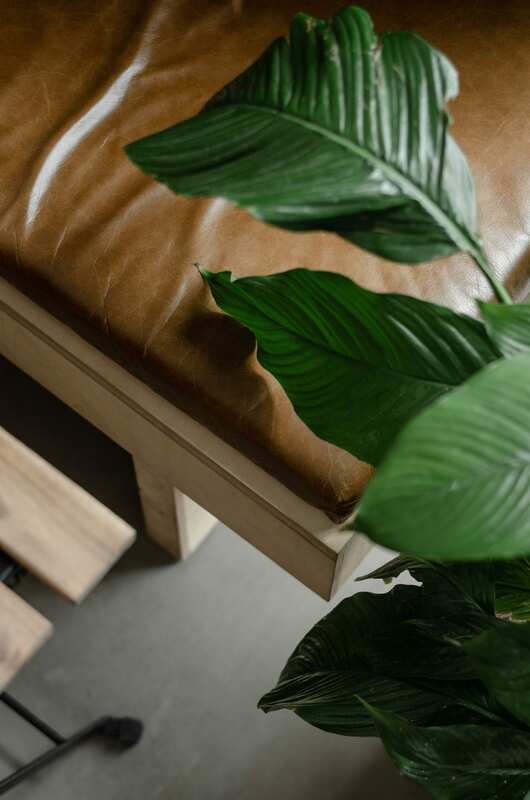 Splashes of green are added throughout the interior, representing the colour of the new grass, of youth, of life – a subtle reference to the pub’s name and essence of this warm and welcoming interior.